I’ve been working on a little pet project of mine again lately. I have started updating an fixing up my old simple class generator again. It’s nothing special – just something I created for my own use one day, and have sort of been poking at here and there for the last couple of years. But, looking through the code – I did see several areas that I thought might make a nice series of articles. This first one will be to document the method that the entity generator uses to discover SQL Server instances on my network and local machines. 107:             bool valid = (this.uxServers.SelectedItem != null) ? 108:                 (this.uxAuthentication.SelectedItem is WindowsAuthentication) ? Not sure there is anything here that is interesting – except for maybe the TryRaiseConnectionValidEvent, which is in serious need of refactoring (multiple nested ternary operators! What was I thinking!). 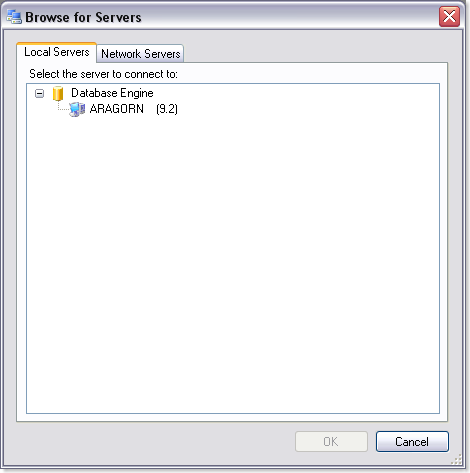 The two methods of interest are the two static methods, ServerInstance.GetLocalServerList and ServerInstance.GetNetworkServerList. The first method – GetLocalServerList – looks in the Windows registry to locate SQL Server instances installed on the local machine, and attempts to differentiate between Express and other editions of Sql Server. 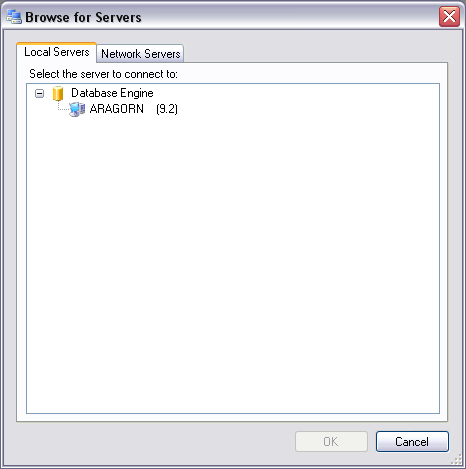 The second method – GetNetworkServerList – uses the SqlDataSourceEnumerator found in System.Data.Sql to enumerate the network servers. At one time, I had written the code to use the Sql Server Management Objects (SMO) – but, I found that it was way slower. I also tried the trick of using ODBC – but that didn’t really give me the information I wanted. So, I settled on just using the SqlDataSourceEnumerator. Still slower then I would like, but not nearly as slow as using SMO.